A beer, the sunset and your feet in the water! How about some olives or a freshly-squeezed juice? Are you feeling it? If you’re imagining yourself watching the sunset, feeling full of life and having a great time on holiday, we’ll let you know where you can watch the sunset in Mallorca. 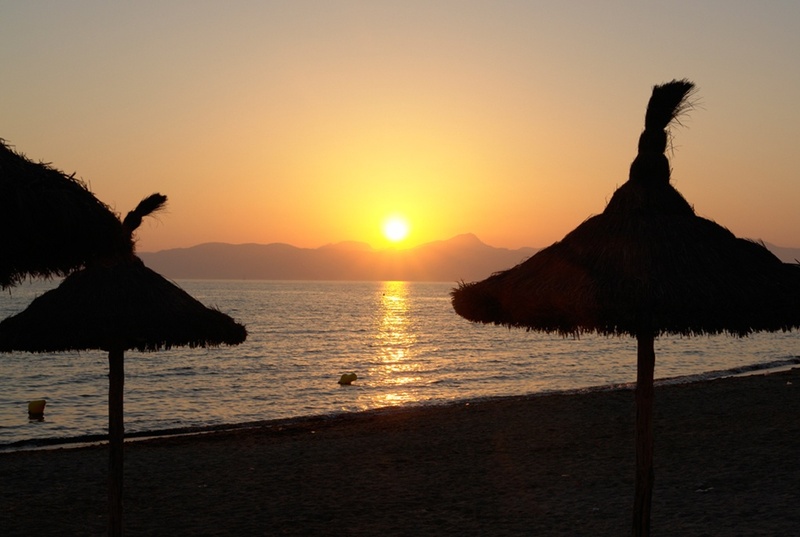 Here is our selection: the top 10 places for sunset sessions in Mallorca. Faro de Formentor. Spectacular! A magic, secluded spot. Never-ending views out to sea, the gulls and you. One of the lesser-known treasures on the island which is located between the waters of the Mediterranean and the Serra de Tramuntana vegetation. S’Embat. If you’re looking for a lively sunset, this is the place for you. A class beach bar popular with locals, with live music every day. Head to Ses Covetes beach to watch the sunset and then go for dinner in S’Embat and enjoy the concert. Sa Torre de Llucmajor. As well as enjoying the sunsets, you can also take in the cliffs and the Bay of Palma. El Salobrar de Campos. A very peaceful area with stunning natural surroundings, which was declared an Area of Special Natural Interest in 1991. Es Cap Blanc. You’ll have to walk a bit to get to the lighthouse, but it’s well worth the effort. The view is incredible. Sa Foradada. A spot that’s admired and loved both by the locals and the thousands of tourists who visit the island each year. Located right in the heart of the Serra de Tramuntana, it’s the perfect location for taking in an unforgettable sunset. The beach bar right by the cliff is a must-see for anyone who comes to the island. Port d’Andratx. A magnificent spot thanks to its combination of sea and mountains. It’s very lively and has endless terraces where you can sit back and take in the experience while enjoying a refreshment and watching the sunset on the horizon. Sa Calobra. A spot which seems as though it’s been plucked straight out of a fantasy book or idyllic canvas. A completely natural spectacle of colours and lights created by the sun’s rays. Torre de Ses Ànimes. Located in the southern part of the Serra de Tramuntana, this is the ideal spot for satisfying lovers of natural landscapes, the sunset and historic and cultural heritage, as it has its own historic watchtower which dates back to 1579. It’s completely accessible and you can admire this great landscape. Torre Picada de Sóller. This is another defense tower, this time dating back to the 17th century. It was constructed to protect against pirates and you can enjoy a magnificent sunset over the port of Sóller, the Ses Puntes area and the S’Illeta coast. You can also admire the incredible spectacle that is the sunset in Mallorca from the sea. Set out on one of the boats which offer routes between the islands of Mallorca and Cabrera, perfectly timed at sunset. This is an even more unique, special experience.